Tie in tinsel, whip silk forward to 1/4 distance from eye. Wind tinsel to make body with 1/3 overlaps. Tie in. 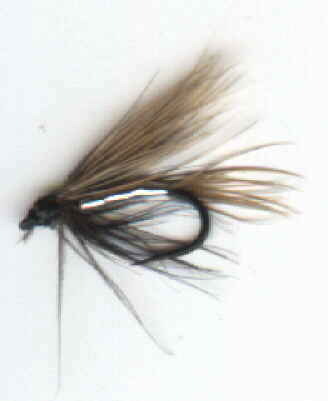 Tie in a few fibres of black hackle as a throat. Tie in hen pheasant thorax on top of hook behind eye, sloping back low over body. When extended back it should reach no farther back than end of tail.